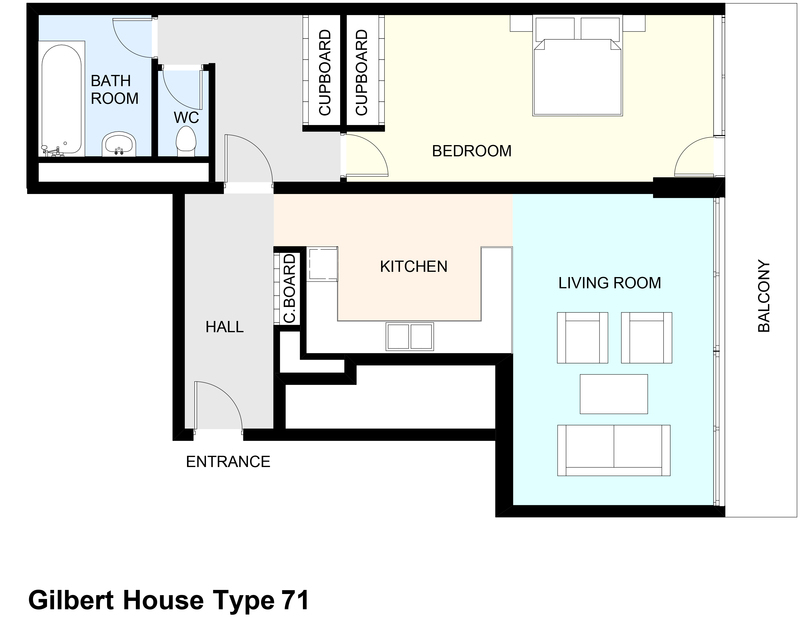 Type 71 is a one-bedroom flat, which only appears in Gilbert House. 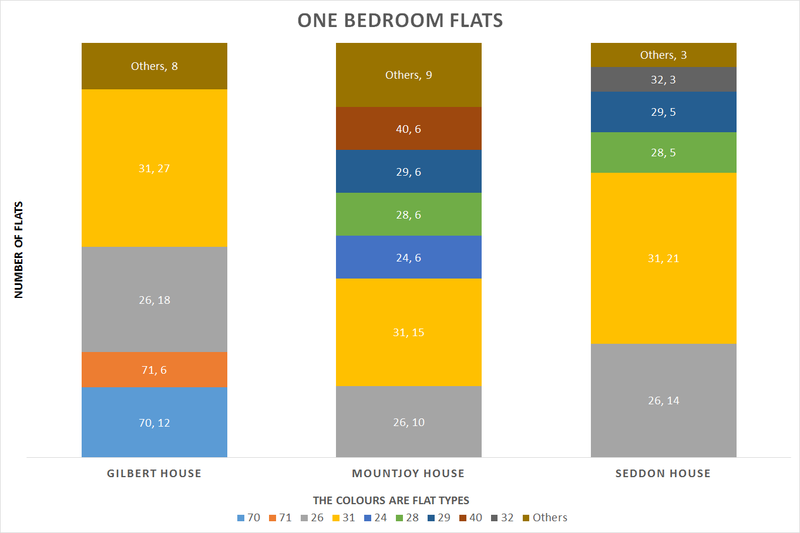 There is one Type 71 flat on each of the six floors of Gilbert House – as a counterpart to Type 39 and Type 41 flats. Together they make up the flats at the Andrewes House end of the terrace. 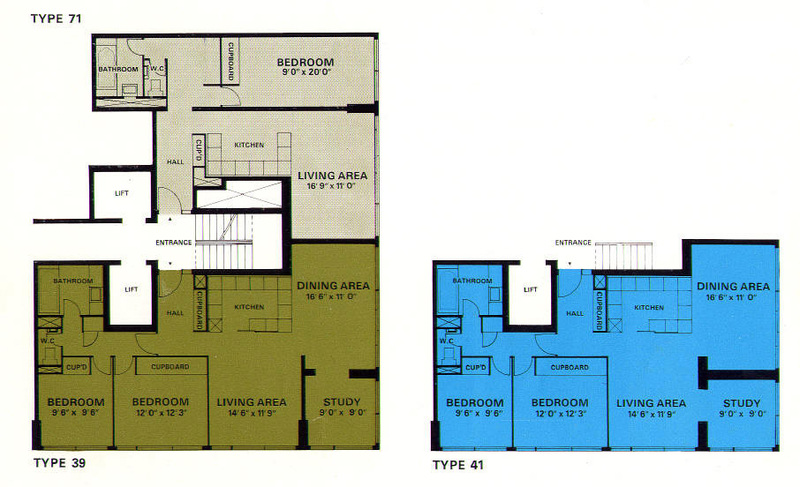 The Type 71 flats are smaller than the Type 39s and Type 41s because space is given up to the connecting section to the adjoining Andrewes House corridors. 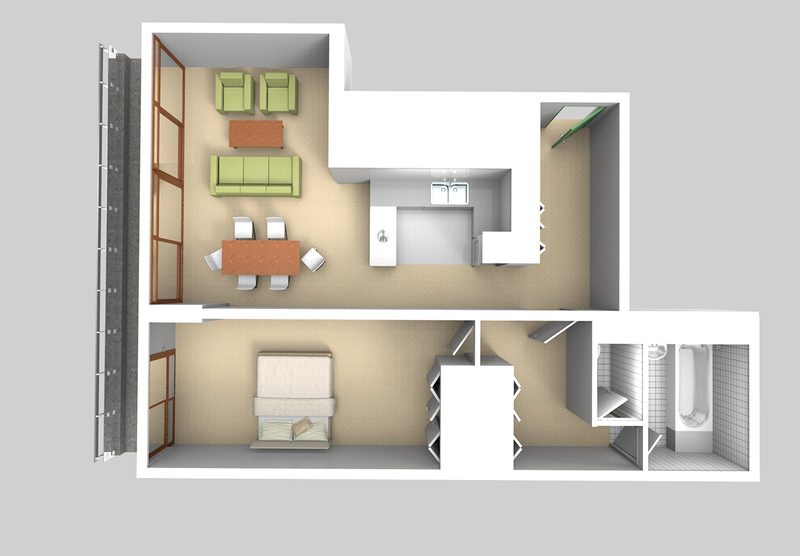 The Type 71 flats have a living area and a bedroom.